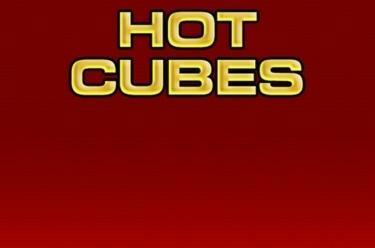 Play Hot Cubes online for free now! Dice with death - Twist fate! But do not worry - with Hot Cubes it’s all about the right dice number! 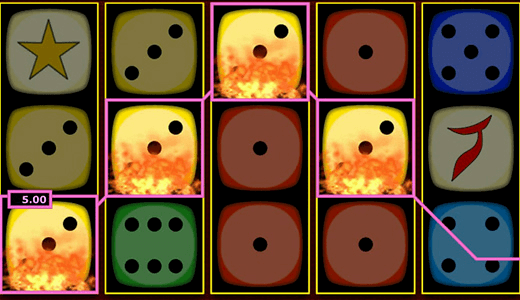 Trust your luck with the dice and let the hot dice roll with Hot Cubes! With 2 to 5 identical dice numbers in the correct order your player account will really start to sparkle! We wish you fiery Twists and lots of fun! Ideally with Hot Cubes, you need to land 5 matching symbols along a win line to cash in on the best winnings. The 5 win lines on our slot machine run from left to right across the reels in various patterns. For a win you need to land at least 2 or 3 identical symbols along a win line without interruption starting from the left most reel.